PharmLinked: Fix it, Sell it or Close it! Often times we hear of a business, which due to sentimental reason, continues to be run the way it was first started "generations ago". Hard to believe? Well, if we open our eyes to our surrounding, you would not fail to see many "mom's and pop's' business", may they be the corner bicycle shop, grocery outlet, bakery, eateries etc, they still exist today. You may find them more in the suburbs then in city centres. Thankfully many of these "mom's and pop's business", had moved on, when the businesses were taken over by the more educated children either through inheritance or acquisition by third parties. Some of these "mom's and pop's business" had also died "a natural death" due to the passing away of the owners as the family members do not show interest in continuing the business or they become "non-relevant" to today's demand or due to higher cost that the business cannot be sustained! 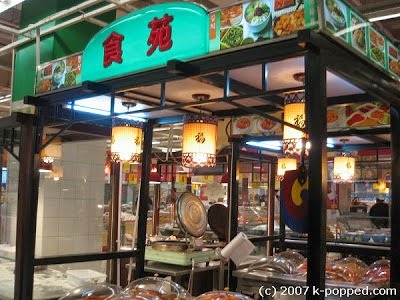 Like in Hong Kong, for example, small well-known family managed eateries had "disappeared". Many of these were "squeezed out" of their respective business premises due to higher rental and other related cost. What a pity! Thus, there is a need for many of these "mom's and pop's business" to do some quick thinking to either "fix it, sell it or close it!" To an entrepreneur, this present opportunity to buy and own a running business as some of these are known brands/outlets which could be further developed for growth and with infusion of a small capital/finance and some basic management knowledge and skills. In Malaysia, we had also witnessed, some years ago, a small family but high traffic grocery store acquired by a business conglomerate, developed into a big chain of successful grocery stores today. Does similar opportunity exist today? Can it still happened today? I am sure it does as there are still opportunities waiting to be tapped if we scout around and willing to invest time, effort and capital.